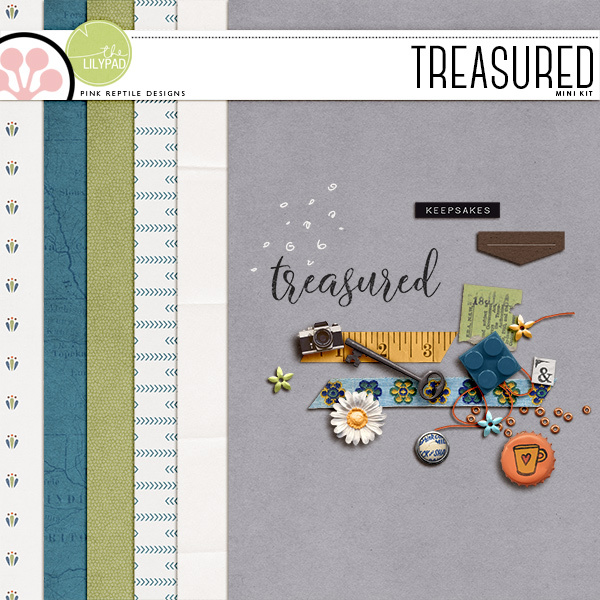 Welcome everyone to my stop on the TLP Treasured: The Things Blog Hop! 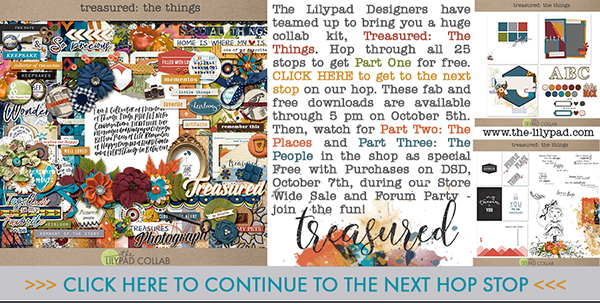 You are going to fall MADLY in love with this ENORMOUS kit that the fabulous designers at the Lilypad have created just for you! Then, continue on to the next stop at Kristin Aagards blog. Have fun hopping and Happy Scrappin'! Thanks so much, this is a great way for all of us to see the great work all you designers do for the community. Love those little elements; especially the camera! Thanks for sharing! This is a beautiful mini-kit. Thankyou! Thank you. As always, wonderful elements! so many unique bits and pieces, thank you loads!